In the same way that actuaries working in General Insurance would have interest in traffic accident statistics, Tort reform or IFRS, actuaries working in Health, Private Health Insurance or providing advice to the healthcare sector more broadly, would have a keen interest in the mechanics of the health system. Any analysis or model is only as accurate as the data and assumptions it uses. Actuaries attempting to model design for a workforce analytics project, or productivity initiative in relation to hospital infrastructure and care should be considering the specific practicalities of the system they are dealing with. While models will not capture every possible occurrence within a hospital, thinking through some of the practical elements of patient care (such as the workforce structure of treating teams used operationally within NSW Health) will help avoid over-simplification. This will hopefully avoid inadvertent identification of inefficiencies or opportunities for improvement that in fact are required for the safe and effective operation of hospitals. There are probably 1000 doctors (likely more) in any major metropolitan hospital. Unlike Asia or America where doctors wear white coats, doctors generally wear normal street clothes in Australia. It is difficult to work out who are the doctors are, let alone if the doctor is on your treating team. surgical (e.g. orthopaedics, ENT, upper GI, cardiothoracics). A busy speciality like geriatrics may have four treating teams with an individual patient allocated to a treating team so that each team has approximately the same number of patients. the JMO (intern if PGY1, or resident if PGY2 or higher). The specialist has ultimate responsibility, and the registrar is expected to have carriage of all aspects of your care – he or she is expected to know everything about your care plan. The registrar is expected to consult if they need advice and run the plan past the specialist if the patient’s circumstances are especially complicated. The JMO helps the registrar by doing all the junior/more basic aspects of care for example investigations (e.g. ordering diagnostic medical imagery, laboratory tests, etc. ), cross disciplinary reviews, cannulae, blood samples etc. The registrar and JMO are typically very busy with their list of patients. Every patient must be rounded on (i.e. seen) daily, so a ten-patient list – if a minimum 10 mins is used for each patient – will take 100mins or almost two hours. (b) the registrar needs to know everything about the patient when the consultant rounds in the afternoon. Patient jobs generated from the round(s) needs to be carried out, discharge letters prepared and new patients admitted. Add out-patient clinics to the mix and the registrar and JMO are working plenty of unpaid overtime. Most medical teams have a list of 20-30 patients, but lists of greater than 40 patients are not uncommon. If it is a surgical service, rounds start at 6.30am or 7am so that the team can go to the operating theatre at approximately 8.00am. A surgical service/team tries to see all their in-patients before theatre starts. Mathematically, a 30-patient surgical list needs to average three (or less) minutes per patient so that the team can start operating at 8.00am. allow for activities required to be completed by treating teams within a typical day when analysing performance improvement opportunities or workforce productivity. there are protocols in place to advise patients to write any questions down on a piece of paper that they may have AND have the piece of paper ready so that they can ask their questions during the round when the whole team and nurse is present. This can improve productivity and reduce the need for multiple consults. asking a specialist level question after the round has finished is disruptive as the registrar/ JMO will need to track the consultant down and interrupt their subsequent activities. Consider the impact of admission procedures: patients’ advice of regular medications – name, dose, frequency. If this information is captured on admission in a specific manner it will reduce the need for the JMO to call family/GP/chemist to find out about the medication. Allow for different patient groups (i.e. non-English speaking background and/or special needs) – consider if the hospital has staff available to facilitate as translators, or ensure that family members/friends are at bedside to translate. There is a NSW Health telephone interpreting service but it realistically takes 20-30 mins to be connected, and the consult takes twice as long due to translating. This all matters in the context of continued growth in expenditure on public health services by Commonwealth, State and Territory governments. Changes have recently been agreed by the Coalition of Australian Governments to the National Health Reform Agreement to introduce a 6.5% cap to growth in Commonwealth contributions for Activity Based Funding of hospital services to State and Territory governments. Consequently, State and Territory health system managers are facing increased pressure to realise productivity or efficiency improvements in the delivery of public health services. However, assessing the feasibility and ease of implementation for productivity or efficiency improvements identified through technical analysis is a non-trivial problem that requires challenge and scrutiny. This examination should be conducted by Chief Executives of Local Hospital Networks, clinicians and broader health system stakeholders on the topics of safety and quality. This has been demonstrated through previous attempts by States and Territories and the Productivity Commission to quantify potential opportunities. In any such technical exercise it is essential to have a firm understanding of the operational context of hospitals in design, development and use of models within the public health system. Ignoring the operational requirements of treating teams could result in overstating opportunities for efficiency or productivity improvement by incorrectly classifying time spent on these activities as unproductive time. In the same way general insurance actuaries must collaborate with claims and policy management teams when providing actuarial advice (and in the same way appointed actuaries require an appropriate level of skill and expertise) health actuaries require an appropriate level of experience and collaboration with clinical staff and hospital management to provide appropriate advice. to ensure there is appropriate involvement of clinical staff and hospital management. In setting key assumptions, and in interpretation and communication of results, this collaboration is necessary to provide advice that is technically sound, clinically appropriate and able to be implemented. 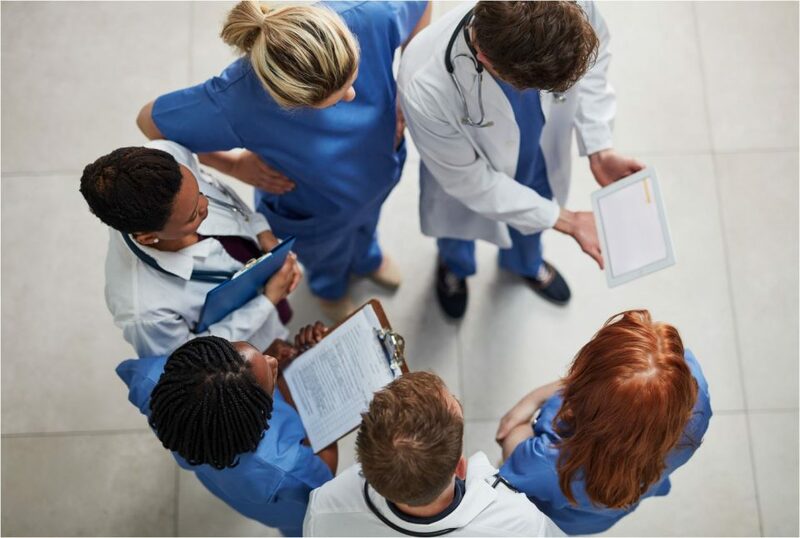 The Wider Health Sub-committee of the Actuaries Institute’s Health Practice Committee (HPC) offers insights for actuaries using their skills to inform funding policy development, or evidence-based system performance improvement for Australia’s healthcare system.